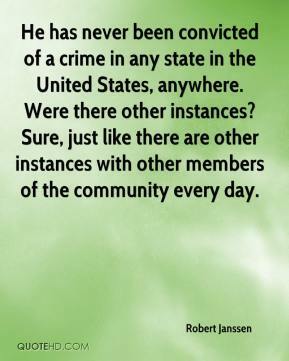 He has never been convicted of a crime in any state in the United States, anywhere. Were there other instances? Sure, just like there are other instances with other members of the community every day.